John Calvin Soltys, born July 18, 1927; died July 4, 2018. John was born in Pound, Wisconsin, the son of Reverend Anthony Soltys and his wife Edna. John, his brothers Dan, Ted, sisters Alma and Jeanette moved to the Kansas City area when he was a toddler. Reverend Soltys led the 15th Street Baptist Church where John received his religious upbringing. 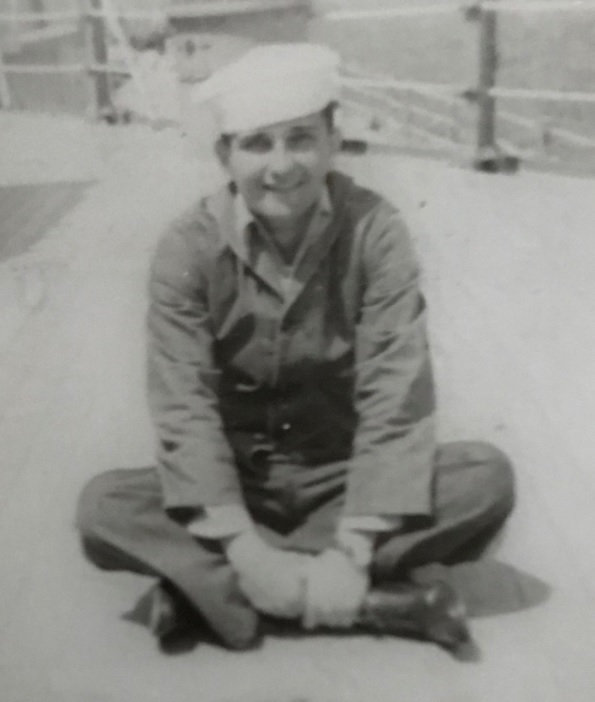 At the age of 16 John joined the Navy. John attended William Jewell College on the GI Bill. After graduation he enlisted in the Air Force. Shortly after the war ended John was hired by TWA. While working John attended UMKC and received a Master of Arts degree. John and Doris met at a church dinner. They attended East High School in Kansas City, Missouri, both worked at TWA, and celebrated their 67th wedding anniversary last December 20, 2017. John continued working for TWA for 41years. During those years he watched his young family grow, having 3 sons. Many transfers with TWA brought new cities and experiences for his young, growing family. All benefited from John’s successes. Retiring in 1991 John filled his days with traveling, and spending time with his ever growing family. Four grandchildren entered his life and he enjoyed and celebrated each one in their unique and individual way. Dave and Margie, while living in Phoenix, had two children, Lauren and Anthony. Mike and Patti welcomed two more grandchildren, Jenna and Scott into John and Doris’ world. Robert (Corky) and Anne lived in St. Louis for the early years of their married life, but eventually moved to Kansas City. John was surrounded more and more by those he loved most. In addition to family and traveling John also was active in the Country Club Christian Church where he served as a Deacon. He volunteered as a counselor for the aging residents at John Know Village having earned a certification through the American Counseling Association. He was a life member of SKAL International, a travel industry organization . He was past-president of the Indianapolis Club in 1988. John was a member of the National Society for Children and Adults with Autism. Celebration of Life Service: 10:00 AM, Tuesday, July 10, 2018 at Country Club Christian Church, 6101 Ward Parkway, Kansas City, Missouri. So sorry for your loss. It was a pleasure and honor knowing John, his loss will be felt by many, John is home and for that we are thankful. Well done my good and faithful servant. Sincerest condolences to family members, may he Rest In Peace .